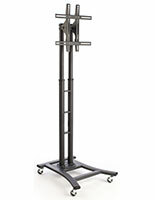 The commercial LCD TV stand is ideal as a trade show accessory. 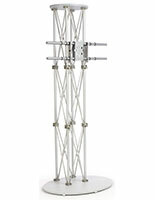 The plasma truss unit is compact enough that it can fit in a corner and be out of the way of customer traffic. 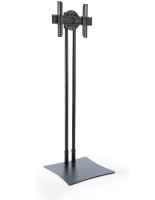 The LCD TV stand is attention-grabbing, but not enough it make it the center of attention. 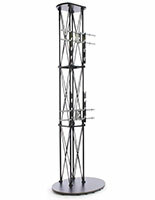 The black finish of the television display is classy and will help make your presentation stand out from others. The LCD TV would also work well in bank lobbies. The plasma mount could be placed in the view of waiting customers and be tuned to a financial channel or news. 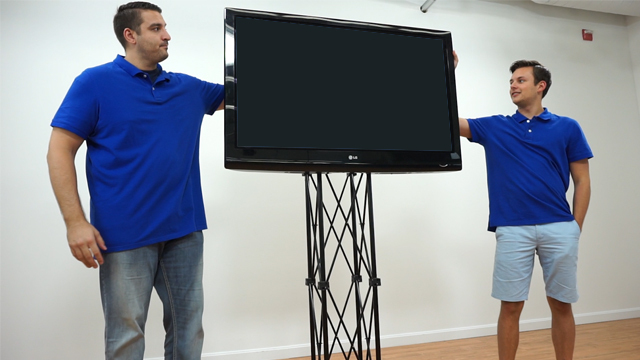 The LCD TV stand, also known as a flat panel display, has many things to offer any business. The plasma display can keep waiting customers interested or educate customers about new products and services. 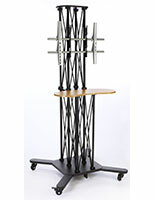 The freestanding LCD TV stand is easy to set up. 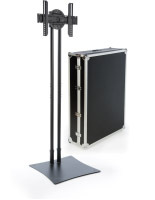 The wooden base of the plasma mount has rubber feet on the bottom to keep it stable on carpeted surfaces. 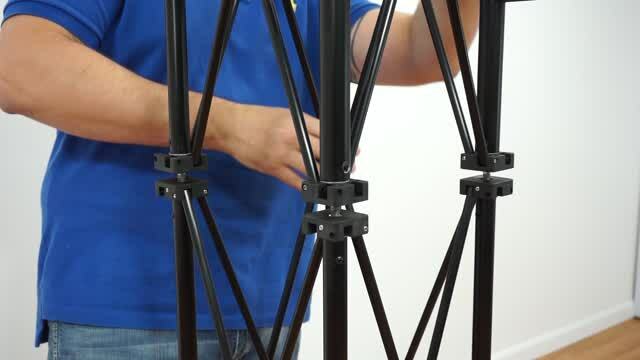 The LCD TV stand has 3 separate truss units that screw together and fit into the base to set up the display. 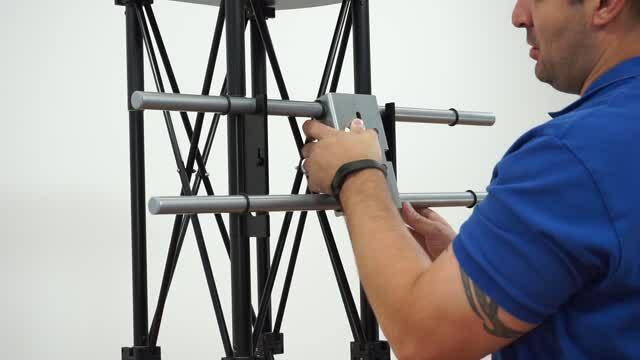 The pieces are made from aluminum and help keep the unit both lightweight and affordable. 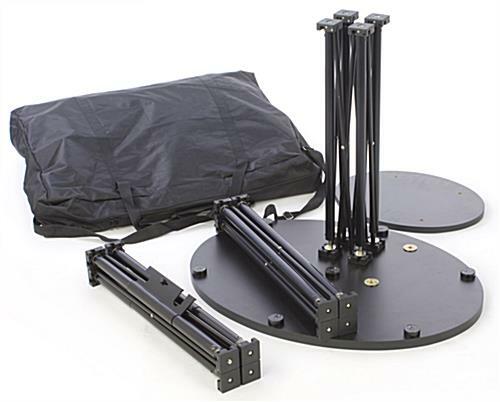 The flat panel mount, LCD TV stand neatly fits into it own carrying bag and only weighs 34 pounds when completely packed. 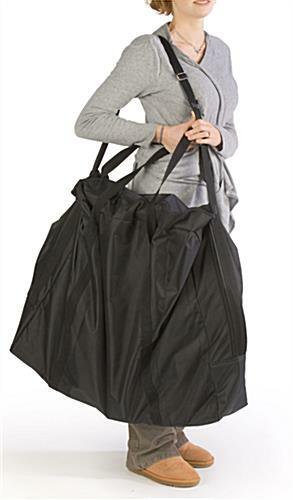 The bag has a shoulder strap to help make transport of the plasma display to and from your next event easier. 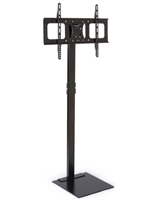 The LCD TV stand measures 31-1/2"w x 74-1/4"h x 23-3/4"d. The television holder can accommodate up to a 60" plasma that weighs under 80 pounds.